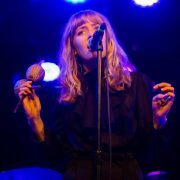 Known for her heavily atmospheric and dreamy psychedelic sound that’s aptly described as “desert rock” or an extension of the neo-torch song, Alexandra Savior (full name, Alexandra Savior McDermott) is an American alternative pop/rock singer/songwriter from Portland, Oregon. Developing an eclectic musical taste during her teens, Savior became interested in writing her own songs at the age of 14. Inspired by a broad range of artists such as Otis Redding, Jack White, Amy Winehouse, and Etta James, she began penning her own lyrics and figuring out her artistic direction by logging melody ideas and different guitar techniques via tape recorder. She first garnered industry attention in 2012, when she uploaded a cover of folk-blues musician Angus Stone’s “Big Jet Plane.” Earning praise from Courtney Love, the magnetic performance also landed the young creative on the radar of multiple industry representatives. The following year, she scrapped her original plans of attending art school and relocated to Los Angeles to pursue her music career more directly. The same year also saw further praise from established artists, particularly from Grammy-nominated Linda Perry, who compared her to Fiona Apple. Toward the end of 2013, Savior had signed with Columbia Records and begun to work on more material. Subsequently, the label sent some of her material to Arctic Monkeys’ Alex Turner to propose a possible collaboration in order to establish Savior’s sound further. With radically different songwriting structures and style, Turner’s approach began to hone the young singer’s songs along a specific route, more accurately encapsulating Alexandra’s sound, which she describes as “being in the middle of the desert, and being abducted…[a]nd opening up into a desert realm, where there’s a bar with nobody in it, a dark red light in the corner, with a woman crooning in a long black dress.” Such a description exemplified the songwriter’s artistic sensibility and visual approach to her art overall, as opposed to purely focused on the sound of it. Throughout 2014 and 2015, she got to work on her first full-length effort (under the working title of Strange Portrait) with Turner and producer James Ford of Simian Mobile Disco (Foals, Depeche Mode). Her first demo, “Risk,” then appeared on the second season soundtrack of HBO’s popular anthology crime drama True Detective. Billed on the soundtrack as Alexandra McDermott, she then decided to use her middle name as her last for her stage persona, based on a suggestion from Turner. Savior eventually changed the album’s title to Belladonna of Sadness, which arrived in April of 2017. The record was promoted by the singles “Shades,” “M.T.M.E.,” “Mystery Girl,” and “Mirage” ahead of the record’s release. Whether surrounded by beating rays of Ethiopian sunshine or melodious waves of sound in a smoky room, Marian Mereba wears the title of your Highness graciously. 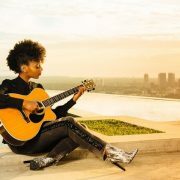 Her music is a blend between internationally appealing melodies and fine-tuned lyrical ability reminiscent of influences such as Stevie Wonder and Bob Dylan. Closing your eyes and listening to Marian Mereba’s music takes you on a flight across the ocean to where everything began, then welcomes you back into a brighter world than the one you remembered. The song is set to appear on the duo’s forthcoming sophomore album of the same name. The sudden releases will definitely kick-start what was looking like a fairly quiet summer for Al Maskati and Ullman – with the exception of their much-anticipated Coachella performance. Per normal, “Phases” sees the guys flawlessly playing their roles – Ullman’s uptempo, synth-heavy production lives seamlessly alongside Maskati’s crooning. The clip was shot in Oahu and features a cameo from producer Knxwledge. 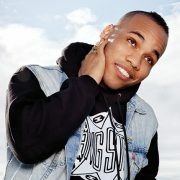 Anderson .Paak is working on the follow up to his 2016 album Malibu in Hawaii. The artist shared a short video featuring his NxWorries collaborator Knxwledge yesterday alongside the message, ““Working on the new album in Oahu for a week. (sorry no sxsw).” According to .Paak’s publicist, the album that he is working on is not another NxWorries album but is his first album since signing to Aftermath. 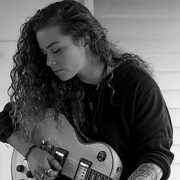 “How do you all even know me?” Tash Sultana asks the crowd during her sold-out show at the Mercury Lounge in New York City’s Lower East Side. The Australian multihyphenate — she sings, plays guitar, loops, beatboxes, and much more — released her debut EP Notion in mid-February, and has since celebrated with a successful U.S. tour. Starting as a busker, Sultana enticed crowds with her densely layered production that fuses indie with ambient rock and impressive guitar licks. “[The guitar] is like my third arm,” she says, and estimates her collection to be nearing 35 in total. Both busking and YouTube, the easiest entry point to Sultana, helped her earn the title of Triple J’s Unearthed Artist of the Year in 2016, a feat she followed by signing to Mom + Pop Music at the start of 2017. Her most-watched video on YouTube, which has garnered over 1.7 million views, is a bedroom recording of her hit song, “Jungle.” The song — and video — best illustrate the sonic science of what Sultana does. In the video, and onstage, she swivels around while tapping looper pedals with her foot, patting a launchpad with her fingers, shredding her guitar and singing through thick clouds of reverb — all self-taught skills (“You only get better at stuff; you don’t get worse,” she says). Of all the talents Sultana has mastered — she can even beatbox on a cheap wooden windpipe — rerouting a negative situation so that the outcome is positive proves her most impressive. Sultana is well aware that her ability to let go of her past and move forward does not come as easily to others. As such, her music doubles as her platform to help those listening find similar clarity. She says she never meant for her music to have such a mission, and has since sought other ways in which she can help. She became a mental health ambassador for Australia’s BeyondBlue, an organization that provides information and support regarding mental health. If you’ve already come across the Megabox HD app, you’ll understand why it has become such a hit on a global basis. If not, we’d strongly recommend going ahead and trying Megabox HD for yourself right now! Of all the apps that enable you to stream the highest quality movies and television shows from all over the world, Megabox HD has emerged as one of the best. Incredibly easy to use with one of the most impressive and intuitive interfaces around, Megabox is a completely free app and does not limit what you can watch. The only slight downside being that Install Megabox HD for PC was designed exclusively for mobile devices. Luckily, there’s a way of getting around this unfortunate issue – which we’ll be taking a look at now! While it may be a primarily mobile application, Megabox HD doesn’t have to be limited to Android and iOS devices. It might not be quite as easy as downloading a dedicated PC or Mac version of the app, but this doesn’t mean you can’t enjoy Megabox HD on the bigger screen. It just means putting in a little effort to get things going! So, how do we get Megabox HD for PC? For those who aren’t acquainted with the concept of mobile emulation on PC, it’s basically a way of setting up a sub-operating system on your computer that can run Android apps. Emulators are apps that replicate the way the Android ecosystem works, so as to let your PC or Mac run Android apps in the same way as an Android device. How do I download the emulator? While there may be any number of emulators available, there are huge differences from one to the next in terms of quality and reliability, which is why we’d highly recommend sticking with one of the more tried and tested options out there – namely BlueStacks, Andyroid, and Nox App Player. While all of these are good, we have a special liking for Nox Player. It is very stable and lightweight, meaning it will not consume your CPU and memory resources. Where can I download Nox App Player from? You can download the emulator 100% free of charge from https://www.bignox.com/. Just make sure you choose the right OS version. For instance, if you wish to download Megabox HD for PC, choose the PC version. Similarly, make the appropriate choice for Mac. The next thing you’ll need to do is get yourself the APK file for Megabox HD. This is basically the single compressed file that contains the Megabox HD app for Android. If looking for the safest version of the Megabox HD APK currently available, click here. How to run Megabox HD App on PC? Step 1: Download Nox App and install it on your computer. Once done, run the Nox App on your computer. Step 2: Next, sign into Nox using your Google ID and password, if you are using Nox for the first time, just as you would with a brand new Android device. Step 3: Now to install Megabox HD on your PC, click on “Add APK file” option and choose the Megabox HD APK file. Step 4: Once you select the APK file, the installation will automatically begin, and it will get finished within the next few seconds. Step 5: After successful installation of Megabox HD app, the app will automatically open up on the Nox Android Emulator. Now you can check out the huge library of movies, TV shows and live-streaming content that have made the Megabox HD app such a hit all over the world directly from your PC. If you encounter any errors while following this tutorial, do let me know via comments. Born and raised on Chicago’s often turbulent south side, Lenae is part of “Zero Fatigue,” a local music collective that boasts artists like Smino and Jean Deaux, as well as producer, Monte Booker. In early 2015, Lenae released her single, “Greetings,” which quickly became a household favorite in the Chicago area and beyond. Soon after, she signed with renowned Chicago-based record label, Three Twenty Three Music Group. 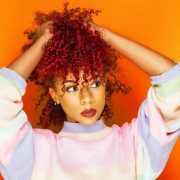 Given her remarkable ability to blend genres, it’s no surprise that Lenae has been influenced by a wide variety of artists, from Stereolab and Outkast to Bob Marley and Ella Fitzgerald. “I tend to take small bits and pieces from my favorite artist, and incorporate them into my own work,” shares Lenae. And, maybe that’s why some of her favorites – like Erykah Badu and NAS – are now reaching out as dedicated fans of Lenae. This article was originally posted on Last.Fm. Norwegian pop singer/songwriter Sigrid followed her elder siblings into the music business, signing a major-label deal with Island at just 20 years of age. Born Sigrid Solbakk Raabe on September 5, 1996 into a music-loving family and brought up in the sunny seaport of Ålesund in western Norway, about 300 miles from Oslo, she was the youngest of three siblings, each of whom had their own musical career. Her sister Johanne was a classically trained singer who had studied in Italy and Spain, while her brother Tellef had tasted indie success at home with his own band. Growing up influenced by classic artists like Joni Mitchell, Chet Baker, and Neil Young, she was taught to play the piano at an early age by her grandmother and guitar by her brother, and for ten years was a dancer, studying several different styles. 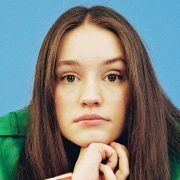 After a stint in her brother’s band, Sigrid turned her hand to songwriting and launched her solo career in October 2013 at the tender age of 16 with the single “Sun,” which saw her featured on NRK’s (Norwegian state television) hip tastemaker show Urørt (“Untouched”). Two further singles, “Two Fish” and “Known You Forever,” alongside spellbinding performances at several major European music festivals, sealed her reputation as a superbly talented songwriter and performer. With her rich, powerful, versatile voice and elfin good looks, she seemed ready-made for pop superstardom, and a bidding war ensued which finally saw her signed to Island. She delivered on the promise with her epic, anthemic debut single for the label, “Don’t Kill My Vibe,” released in February 2017. Co-written and produced by Martin Sjølie (Ella Henderson, Sam Smith), it was unveiled with much fanfare on BBC Radio 1, becoming their “Hottest Record in the World,” and immediately racked up millions of plays on streaming services. A debut album was planned for later that year. Vindata has sought out on a mission to expand how we define dance music. Their all-embracing electronic sound seems to balance rugged Hip Hop beats, with deep R&B passions, and Indie-Pop sensibilities. After notable underground success with their last EP “…For One To Follow” , Branden and Jared released a new EP titled “Through Time And Space…” , another piece of their discography puzzle depicting the human experience. This time around, they’ve crafted a 6 track journey through different perceptions of different realities. The final result is a cohesive body of energetic yet lush textures, polyrhythmic percussion, and soulful vocals. 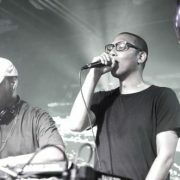 In 2014, their single “All I Really Need” gained the interest of reputable tastemaker Skrillex, who brought them on his Fall Tour. The duo also played noteworthy festivals at TomorrowWorld, Hard Summer, Red Rocks, and Firefly Festival. 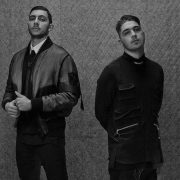 Their music has gained the support of Flosstradamus, Zed’s Dead, Skrillex, Sweater Beats, Gladiator, Branchez, Kastle, Arty, and more. Chicano Batman source their high-spirited alternative Latin synthesis from tropicália, West Coast psychedelia, and late-’60s/early-’70s soul, among other styles. Eduardo Arenas (bass, vocals), Bardo Martinez (lead vocals, organ, guitar), and Gabriel Villa (drums, percussion) made their recorded debut in 2009 with a self-released, self-titled album. 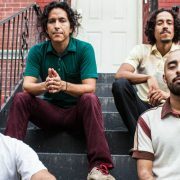 After Carlos Arévalo (guitar) was added to the lineup, Chicano Batman issued the four-track Joven Navegante EP in 2012. The Los Angeles-based band released only handful of additional singles across the next few years, but they greatly expanded their fan base in 2015 with dates opening for Alabama Shakes and Jack White, as well as a performance at Coachella. In 2016, Chicano Batman signed to the ATO label, where they released Freedom Is Free, their third album, in early 2017.